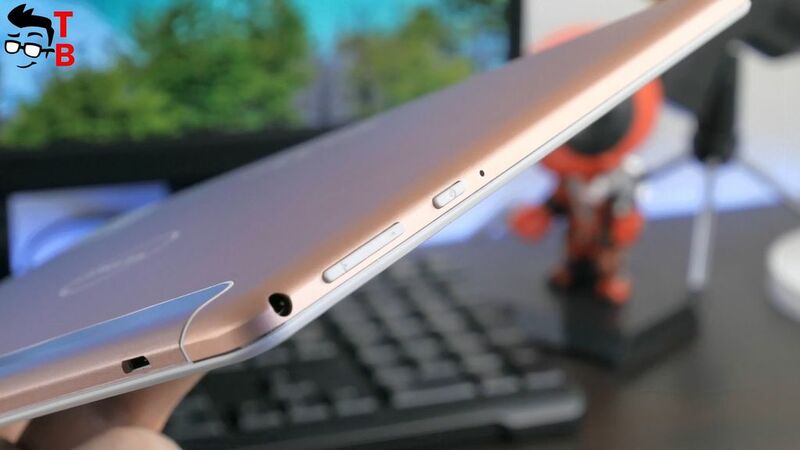 Home » Review » User Review and Unboxing VOYO i8 Pro - Should You Buy Tablet in 2018? 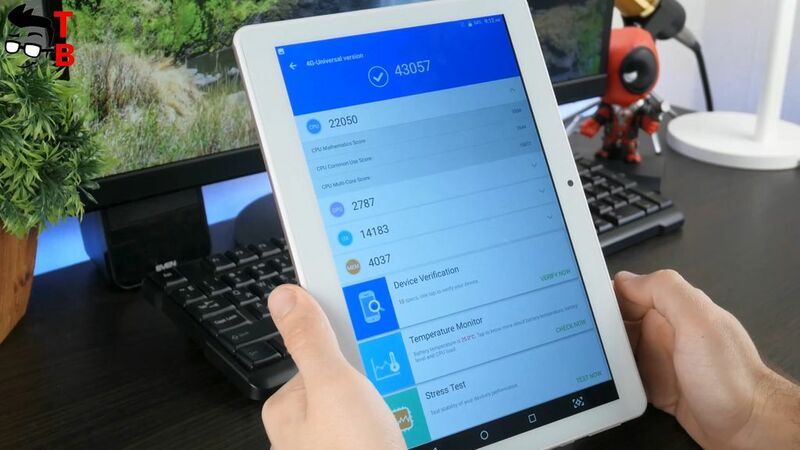 Today we have unboxing and review of budget tablet called VOYO i8 Pro. 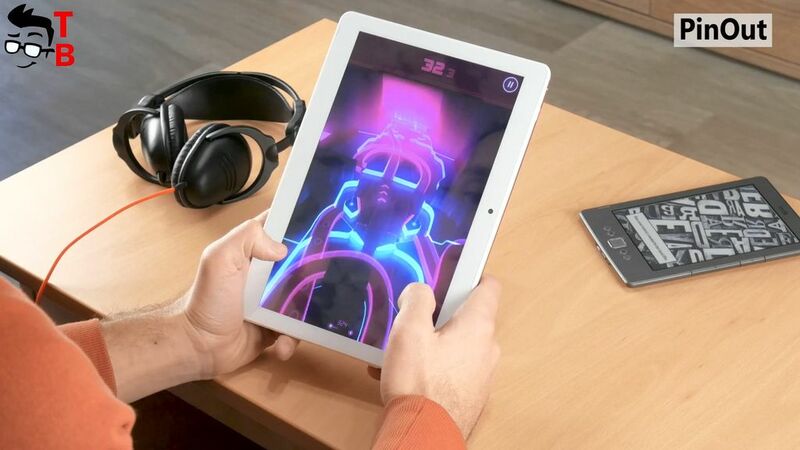 Although its price is only $160, the tablet has 10.1 inch Full HD display, 3GB of RAM and 64GB of storage. VOYO i8 Pro supports dual SIM card, so you can use it for mobile data and even calls. 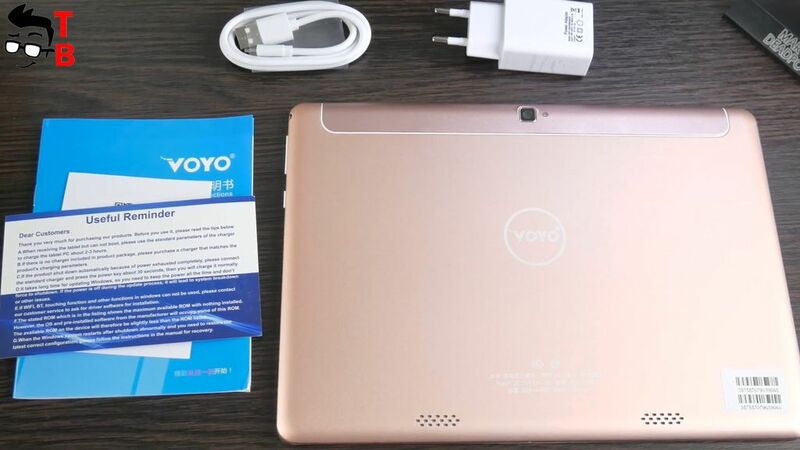 Today it is very difficult to find really good tablet, but what about VOYO i8 Pro? Is it good device for entertainment or even work? Let’s find out it in this review. 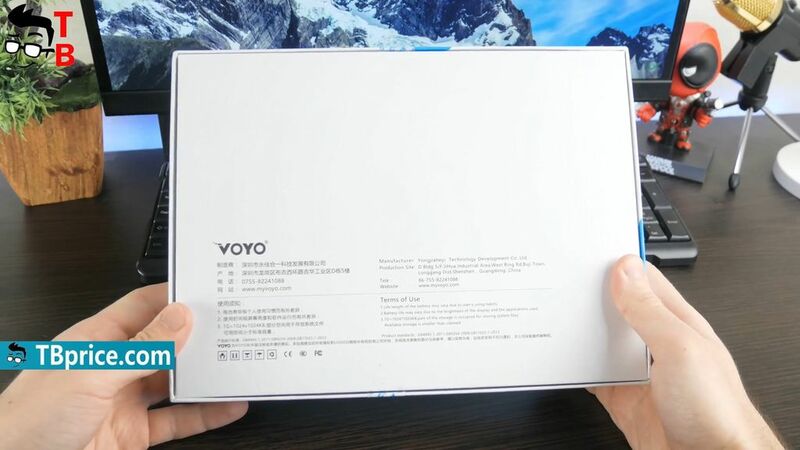 VOYO i8 Pro comes in a simple box of white color. There is nothing special, just specifications and main features on the back. 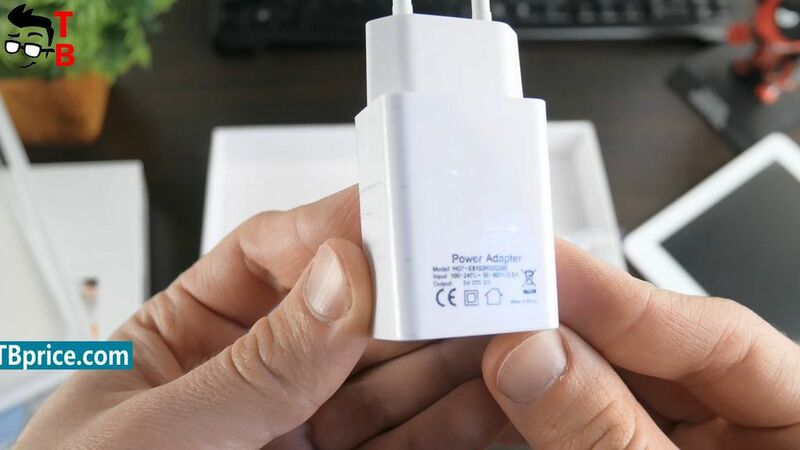 Inside the box, you can find the tablet, power adapter, USB cable and user manual in English. That’s all! 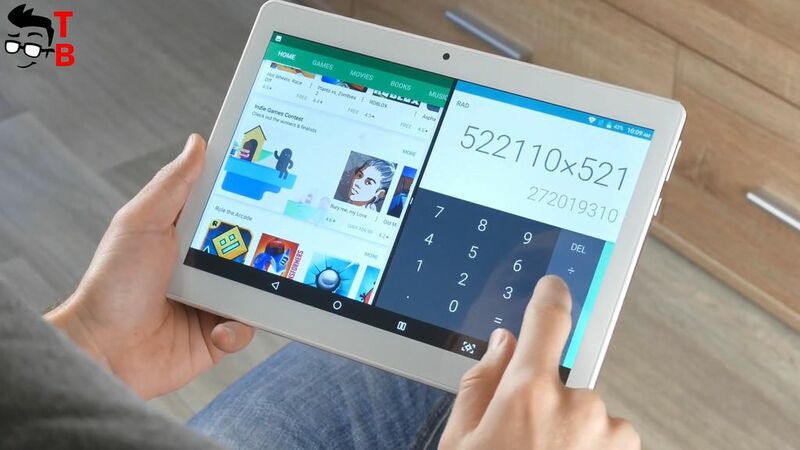 This is no keyboard, and you do not need it, because the tablet runs on Android. The design of new tablet is quite standard. 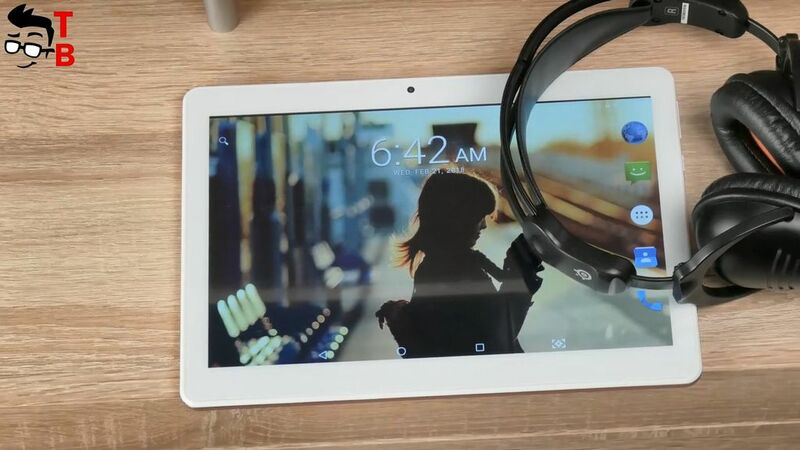 It looks like many others Chinese tablets on the market. 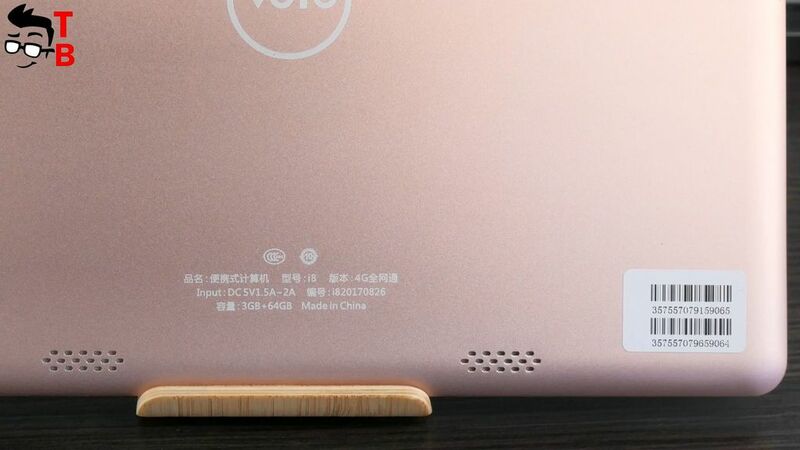 However, the first feature is that VOYO i8 Pro comes in only Rose Gold color. 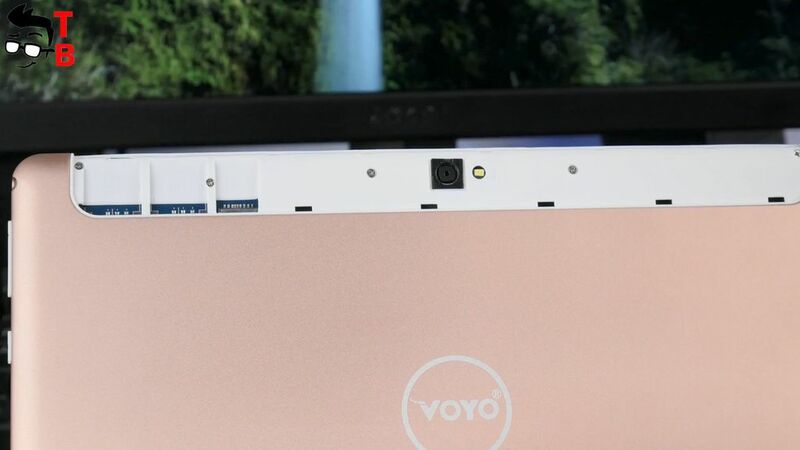 The front panel has white color, while the backside is made of rose gold. I cannot say that VOYO i8 Pro has thin bezels around the display. The tablet has pretty big bezels, and it’s a little strange, because of full screen or bezel-less trend on smartphone market. 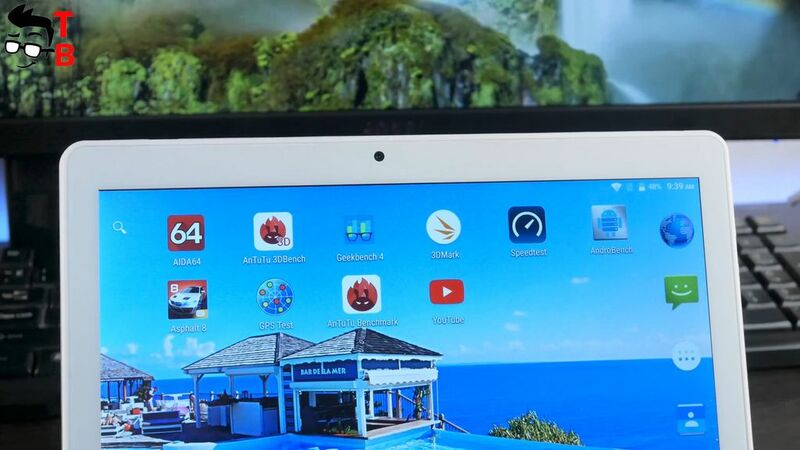 I am waiting for the tablet with really thin bezels. However, maybe it is better, because the tablet is more comfortable to hold in hands. On the front panel, there is 10.1 inch display and front camera. 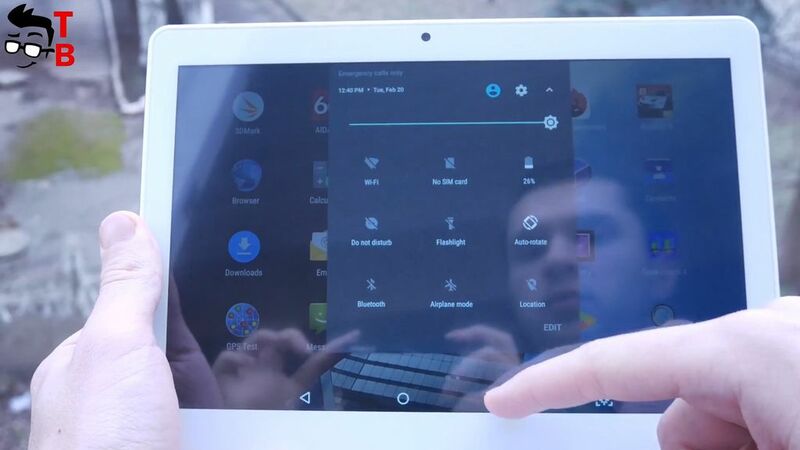 It is budget tablet, so you cannot find fingerprint reader or other flagship features. The back panel looks pretty good. There is detachable part at the top, under which you can see slot for two SIM cards and microSD memory card. 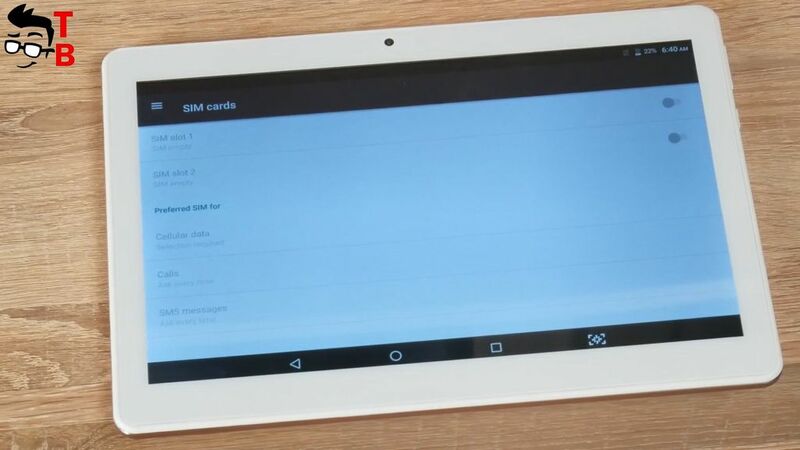 It is very interesting solution, and I am really excited of dual sim card in the tablet. Also, the back panel has rear camera and flashlight. At the bottom you can find speaker grilles. The right side provides power button and volume rocker. Also there is 3.5 mm audio jack. MicroUSB port is located on the top. 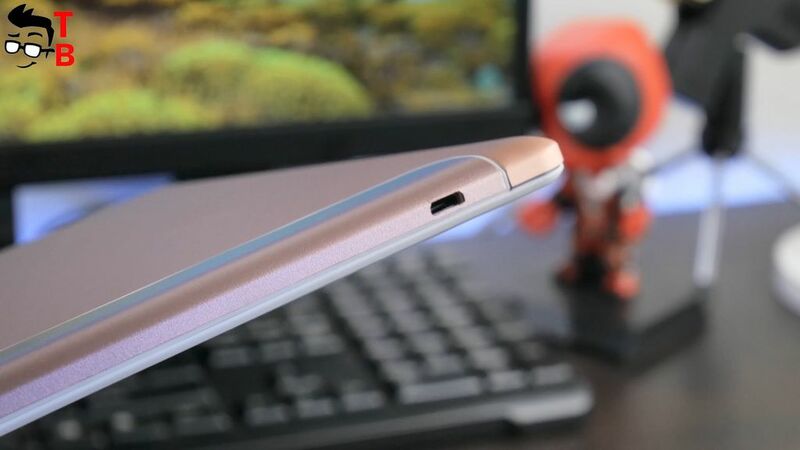 As you can see, the main feature of this tablet is a special compartment for SIM and memory cards. In general, design is very simple and standard. However, I didn’t expect something special from budget device. Maybe it has great display and powerful hardware? Let’s find out. VOYO i8 Pro has 10.1 inch display and Full HD resolution, 1920 by 1200 pixels. 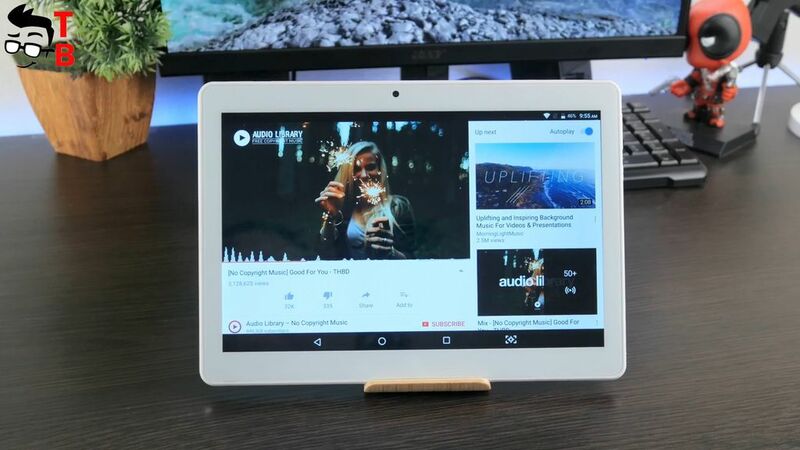 It sounds pretty good for budget tablet, do you agree? And it really has sharp colors, good viewing angles and clarity indoors. 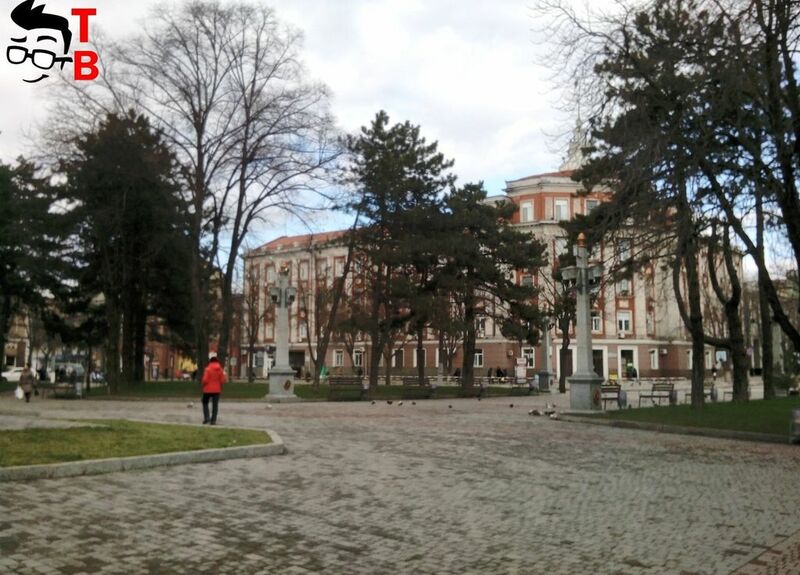 The maximum brightness is enough for comfortable using the tablet outdoors. Of course, you should avoid direct sunlight, however in the shade or in a cloudy weather, it is possible to watch movies, surfing Internet, etc. outdoors. 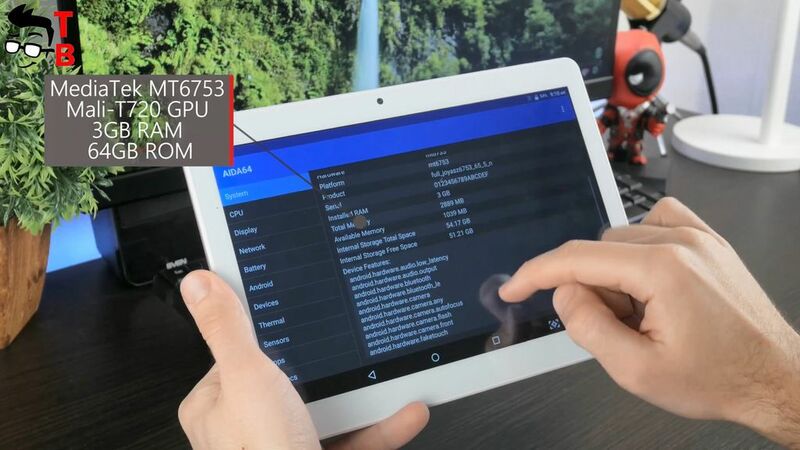 As for the hardware, new tablet is powered by MediaTek MT6753 processor with Mali-T720 GPU. The chipset was released in 2015, and it was used in mid-range phones and tablets. Right now, it is outdated, and I am less and less meeting devices with this chipset. It copes well with basic tasks, such as simple games, surfing internet, watching videos on YouTube. Also, there is 3 GB of RAM. This is great news for multitasking. The tablet comes with 64GB. This is huge storage for movies, photos and games. However, if this is not enough for you, there is microSD memory card support. As I already said, you can use two SIM cards and microSD memory card at the same time. It is amazing! Let’s check the speed of internal memory. AndroBench shows about 140 MB/s of reading speed and 100 MB/s of writing speed. I cannot say that it is great result, but it is good for budget tablet. Now, let’s see some benchmarks. The most popular synthetic test on Android called AnTuTu shows that VOYO i8 Pro has about 43 thousand points. 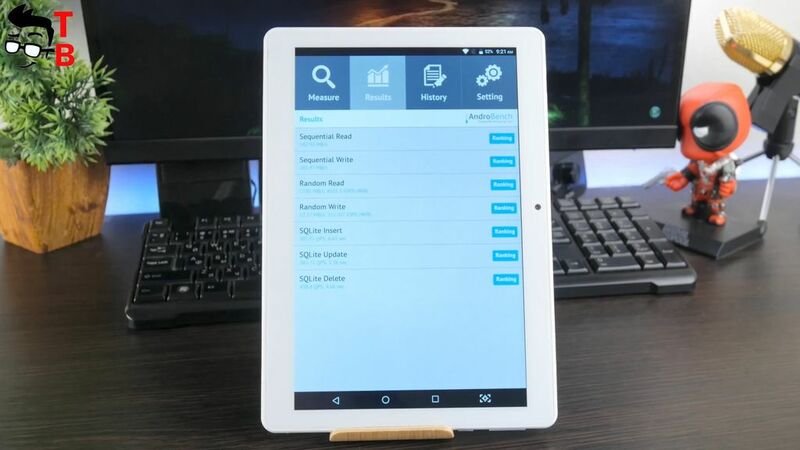 This is not enough for heavy games and difficult tasks, but you should not forget that VOYO i8 Pro is budget tablet. GeekBench 4 demonstrates 551 points in single-core test and 2130 points in multi-core test. And the last benchmark for this tablet is 3DMark. There is 4100 points. As I already said, I don’t expect miracles from this device. Probably, it will have problems with heavy games, let’s check it out! I want to start with Asphalt 8. This is really heavy game on Android. Most budget phones and tablets have problems with it. As you can see, VOYO i8 Pro is not exception. It is almost impossible to play Asphalt 8 on this tablet. FPS is very low; and there are very big delays. If you are racing fan, you should look for more simple game, for example, Asphalt Extreme. Now let’s see the games you should not have any problems on VOYO i8 Pro. Have you ever played Clash Royale? I am sure that you have. This is very popular game, and the best thing you can play it on almost any Android device. At least, VOYO i8 Pro doesn’t have any problems with it. Everything runs smooth and fast. FPS is OK. The next game called PinOut. This is one of my favorite games for the last time. VOYO i8 Pro is great device to play this game, because it has big display. The performance is very good. PinOut will run perfectly well. And the last game for today is Cut The Rope. You have definitely played this, because it is one of the best logic game on Android. Of course, you don’t need expensive and powerful hardware to play this game, but you need to have brains. 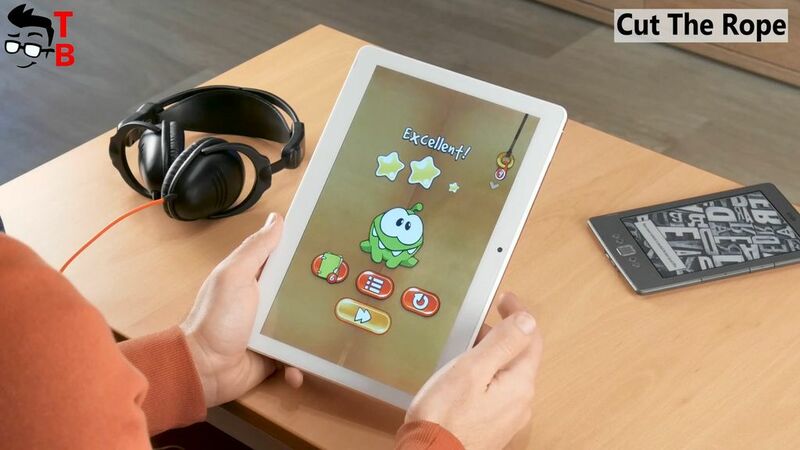 I know that many children like to play it, and the tablet is an excellent device for them. As you can see, VOYO i8 Pro is not very powerful tablet. 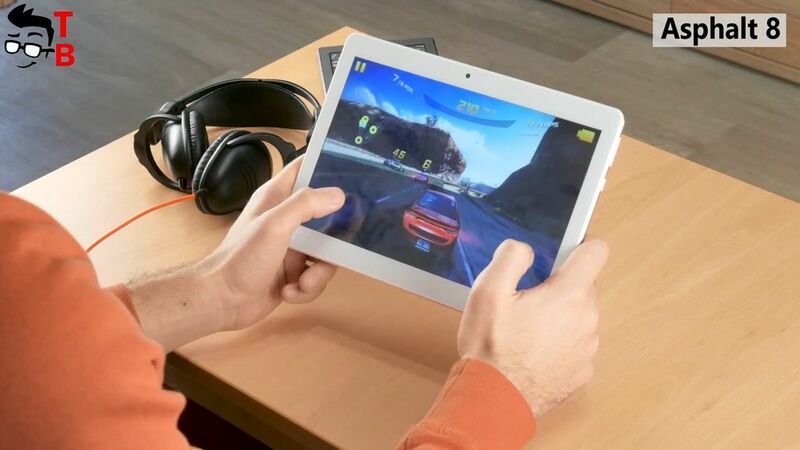 I cannot name it gaming tablet, because it is impossible to play Asphalt 8 and other heavy games. 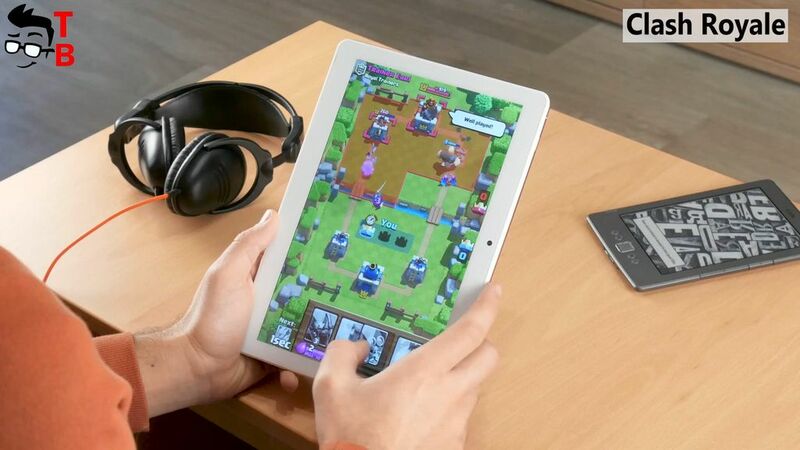 However, you can easily run any casual games, such as Clash Royale, Clash of Clans, Minion Rush, Cut the Rope and others. Also, I don’t notice any problems with user interface, and everyday tasks, such as surfing internet, working with documents and others. 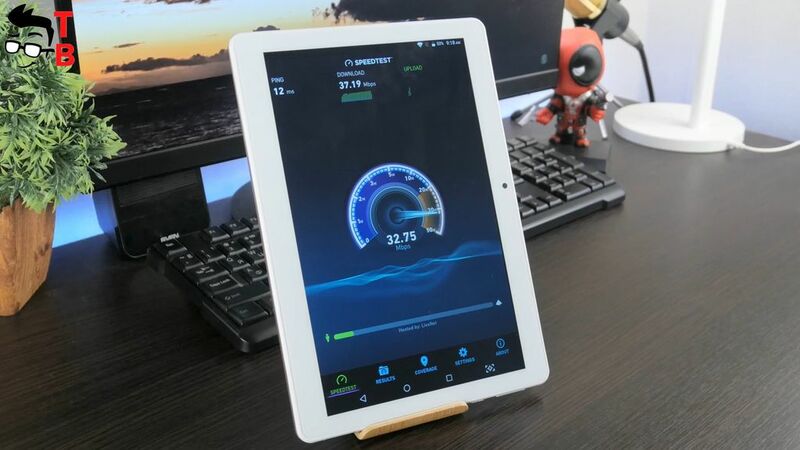 So, VOYO i8 Pro is good budget tablet for those who don’t need to play latest games. 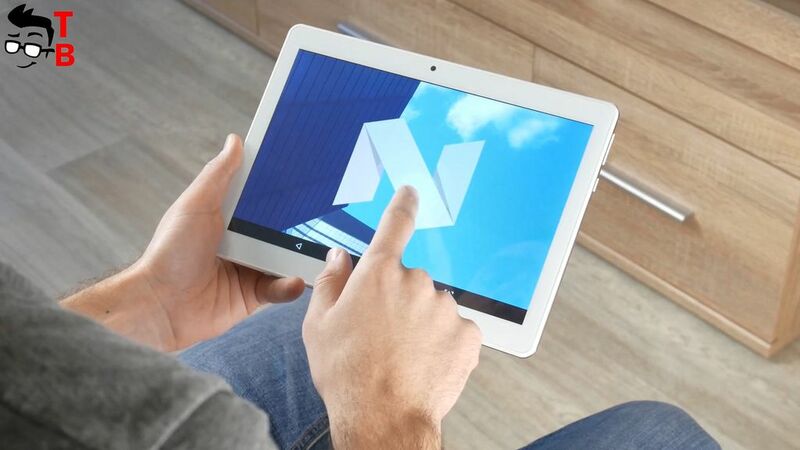 The tablet runs on Android 7.0 Nougat. It is stock Android system, so everything is standard. There is Play store, and other Google Services. Also, it supports different languages, such as English, Hindi, Spanish, Russian, and others. The user interface works fast and smooth. I don’t notice any problems with this. I am glad that VOYO i8 Pro runs on Android 7.1, because it comes with split screen function. 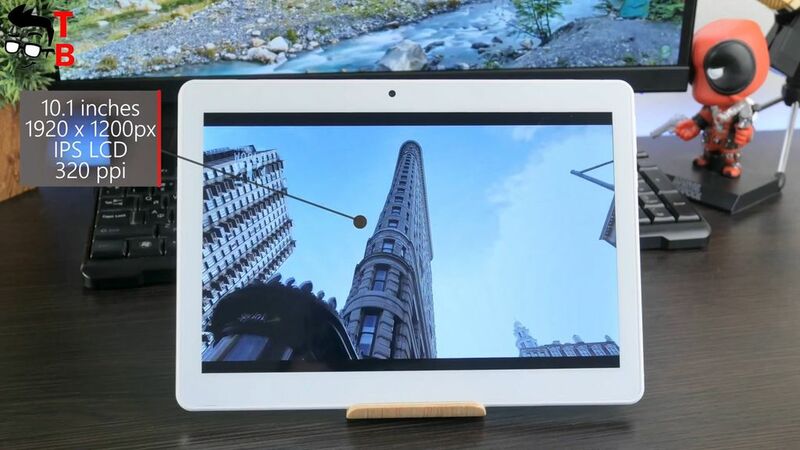 It is very useful function on tablets, because you can divide the screen into two parts, and use them for different tasks, for example, watching video and reading websites. 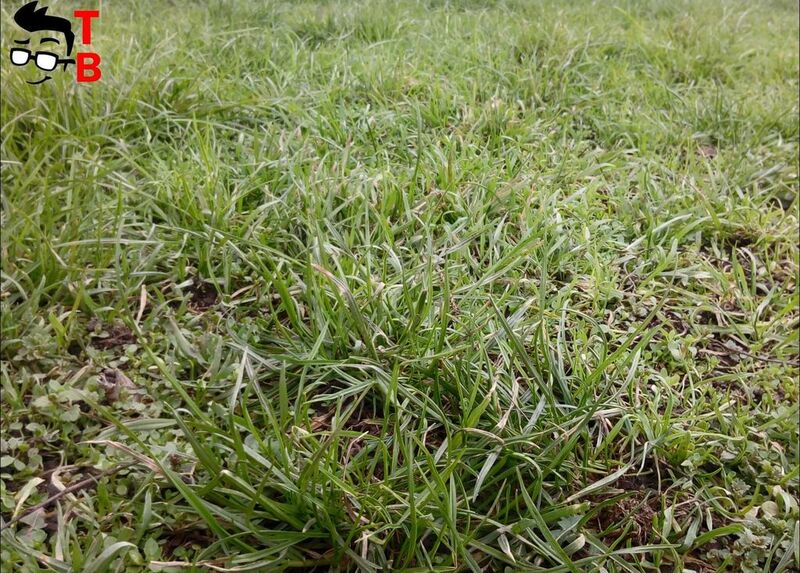 The camera is the main problem of all tablets. 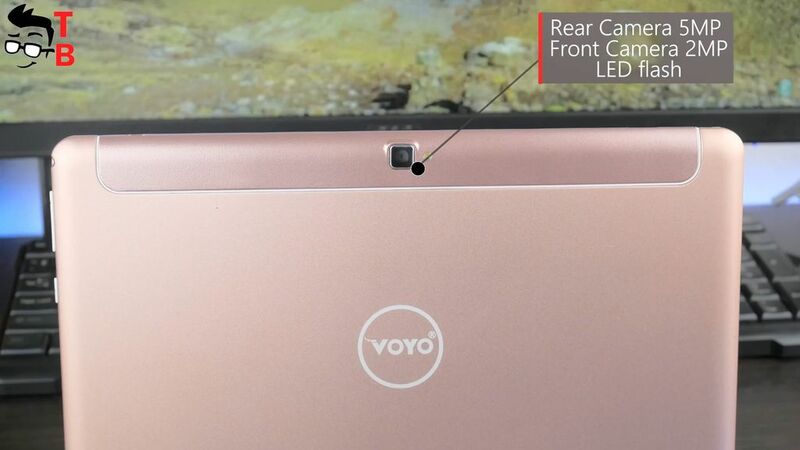 VOYO i8 Pro is equipped with 5MP rear camera and 2MP front camera. Of course, I didn’t expect a miracle, but the photos are even worse than I thought. The shots are grainy, unfocused, and have bad colors. Even the cheapest Chinese smartphone takes better images, than this budget tablet. First, I thought that you don’t need camera in tablets at all, but then I remembered about video chatting. 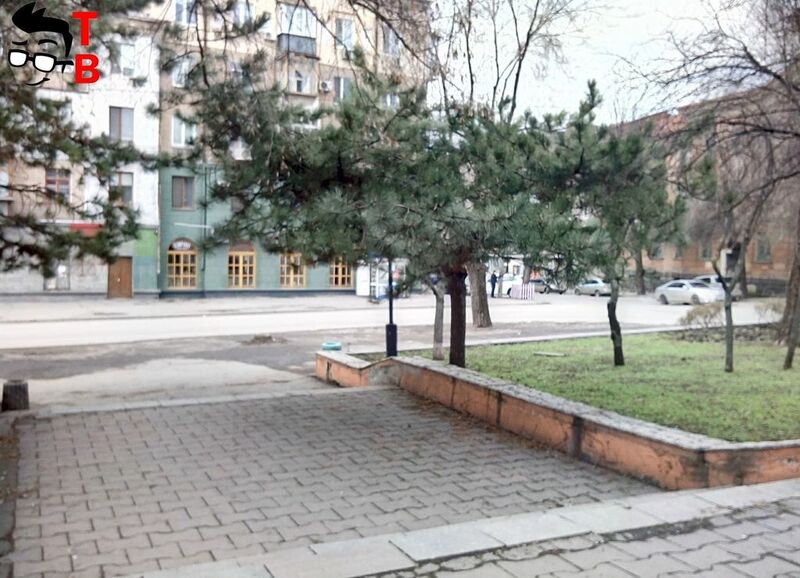 Perhaps this is the main reason why manufacturers equip their tablets with cameras. 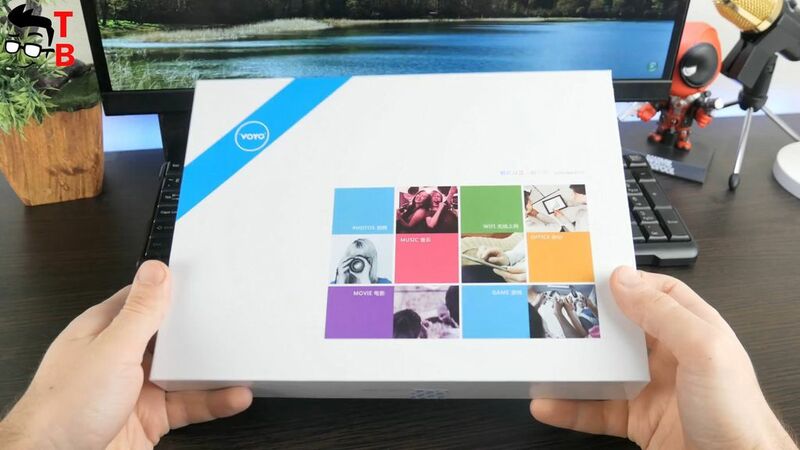 They are not intended for photos, but you can use them to communicate on skype. VOYO i8 Pro is equipped with 6500mAh battery. The manufacturer says about 7 hours of battery life on a single charge. Later I will make battery test, and check it. 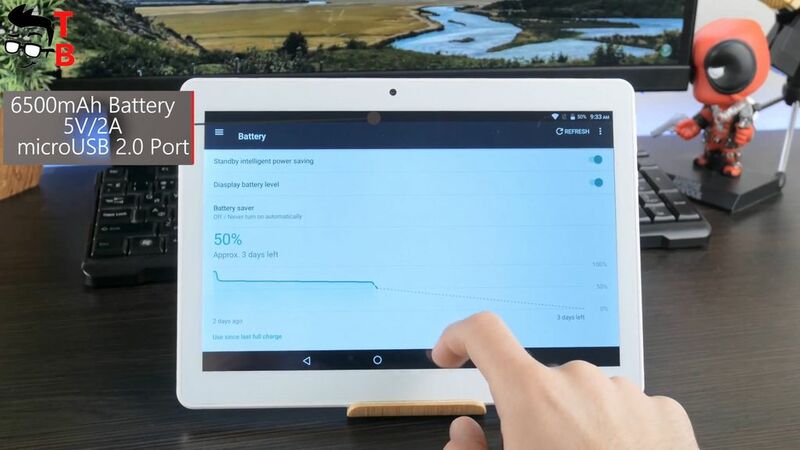 The tablet charges via microUSB port. The full battery charge takes about 3 hours. You know that tablets are not intended for calls. However, the slot for SIM cards provide mobile data support. It means that you can use Internet wherever you want. Moreover, VOYO i8 Pro is equipped with dual SIM card. 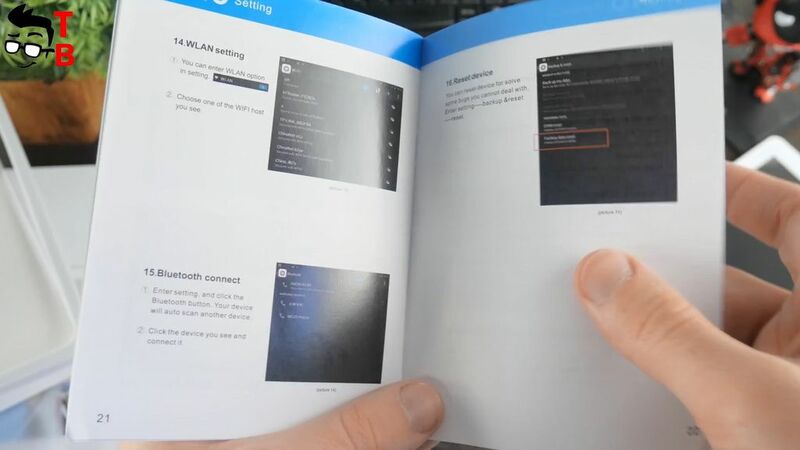 Both of them support network connections up to 4G. Other connectivity options includes Wi-Fi, GPS, Bluetooth, and even 3.5 mm audio jack to listen to music. 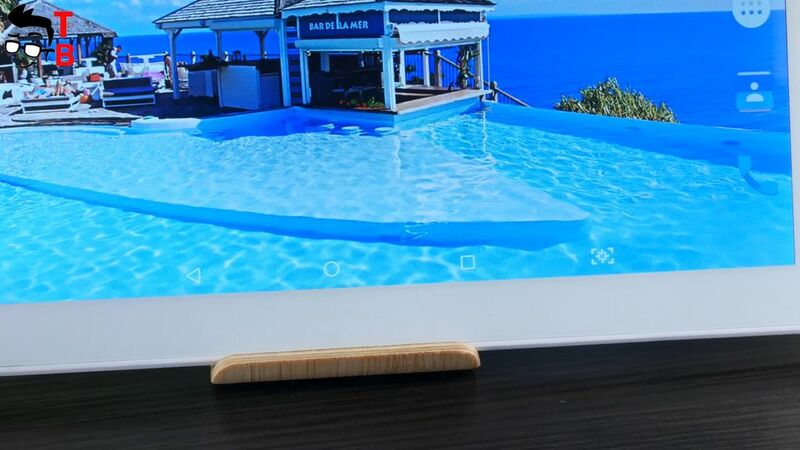 The tablet uses microUSB port for charging and transferring files. 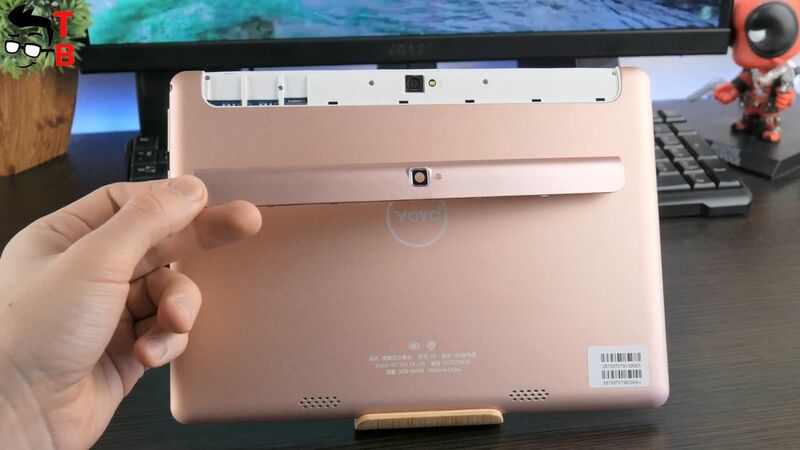 The tablet has very small speaker grill on the back panel. The sound is pretty loud, however there is no bass at all. The speaker produce only low dB values. Now you can listen how it sounds. 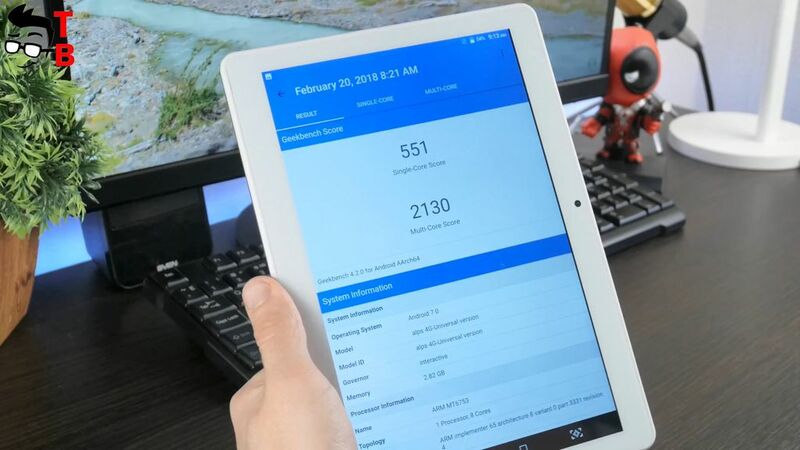 VOYO i8 Pro is decent budget tablet. It has very simple design, but good built quality. Of course, its main features are big display and dual SIM card support. 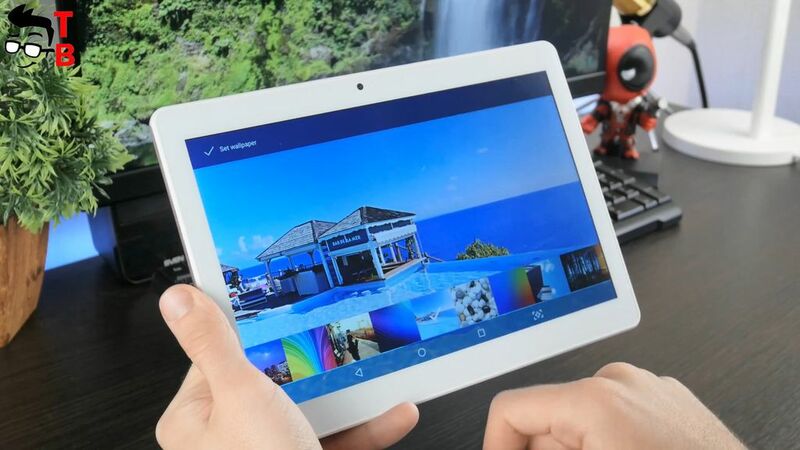 Also the tablet has good hardware, and it copes with everyday tasks, such as watching movies, surfing internet and office apps. 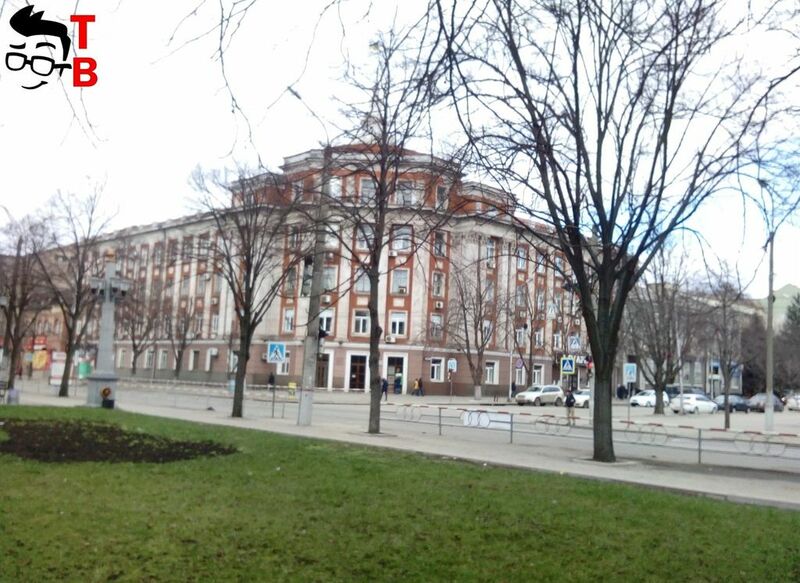 The camera is very bad, and you should not use it to take photos at all. 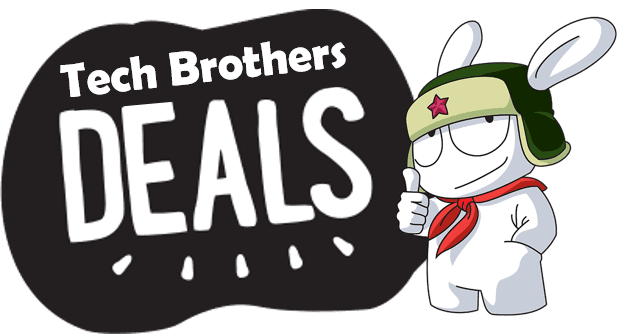 In general, VOYO i8 Pro is good tablet for its price – about $160.